Here is a list of tools to help merchants sell products on Pinterest. There are tools from Pinterest and third parties to create buyable pins, promoted pins, and pins with rich content. Create individual pins, or distribute product images at scale. Shop the Look. Shop the Look lets people find products from home or style pins. Shop the Look pins have white dots that call out different parts of the look. People can tap the dots to view and shop exact or similar in-stock products featured in the pin. 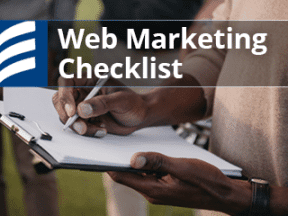 When they’re ready to buy, consumers can click to your site to check out. Product Tagging. If you have a limited number of products to sell, use the tagging tool to create your own Shop the Look pins. Individually tag your lifestyle image pins with links that drive to product pages. Rich pins. Pinterest’s four types of rich pins — product, recipe, article, and app — provide extra information directly on a pin to help the user. Product pins make shopping easier, letting merchants show real-time pricing, availability, and product description from a website. You must be able to buy the product directly from your website before adding the product rich pin. Promoted pins. Any business account with an active billing profile can promote a pin across the platform. Pick a pin, set up targeting, then track results and adjust. These pins will surface in your desired audience’s home feed, category feeds, and relevant search results. There is no minimum cost for promoted pins. The amount you pay will depend on the budget and spend limits that you set for your campaigns. Promoted Carousels. Promoted Carousels contain multiple images for viewers to swipe through, letting you deliver images and ideas in depth. Use up to five images to feature a selection of products or tell a story for your product or brand. Promoted Video pins. Video pins stand out and help you tell a stronger story of your product or brand. The video format comes in two sizes: a standard size that’s the same as a regular post and a maximum-width size that stretches across an entire mobile feed. In addition to standard metrics such as impressions and clicks, get access to views of visible video, view length, and engagements. Promoted App pins. This format allows pinners to install a mobile app directly from Pinterest. Available on iOS and Android devices, Promoted App pins include an easy-to-recognize app icon and an install button. Targeting. 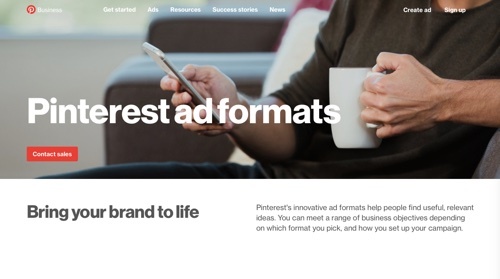 With Pinterest’s Ad Manager, use targeting to find the audience for your products. Launch targeted campaigns with promoted pins based on interest, keywords, or audience behavior. Use Pinterest’s analytics to measure your results. Pin Collective. 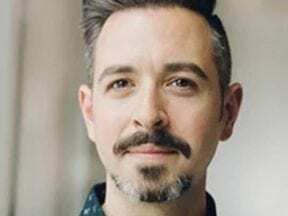 This is Pinterest’s network of content creators that helps brands create and produce new Pinterest campaigns — to make it easier for brands to succeed on Pinterest. 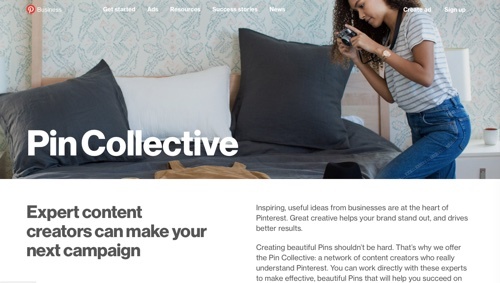 As part of the process, Pinterest will help a brand to find the right Pin Collective member for its needs. If your budget doesn’t meet the requirements for the Pin Collective, you can still get expert help from Pinterest’s partners at Popular Pays. Curalate. 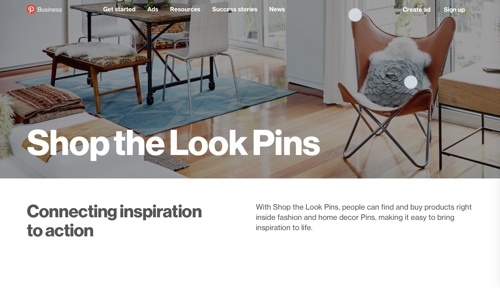 Automatically activate content you’ve tagged in Curalate as Shop the Look pins. Create a seamless journey from discovery to purchase. 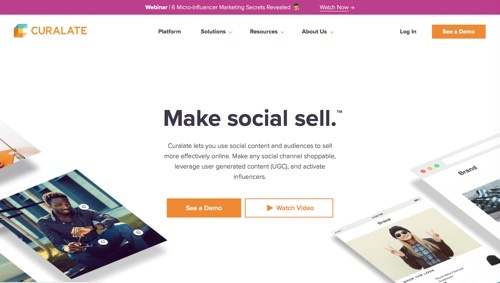 Curalate helps you make any social channel shoppable, leverage user-generated content, and activate influencers. Contact for pricing. Olapic. Olapic participated in the launch of Shop the Look and continues to help brands connect to commerce and interact with shoppers. Distribute Shop the Look product images at scale. Use the content calendar and schedule your assets and stay organized. Analyze your top performing content on Pinterest and Instagram. Track image performance and return on investment. Contact for pricing. PicMonkey. This is a photo editing and design tool, featuring dozens of effects and filters, textures and fonts, 2,400 customizable templates, and 3,000 graphics. Build your photo editing and designs skills by watching videos and following step-by-step instructions. Price: Plans start at $7.99 per month. Canva. Canva is a tool to create professional graphics. Design with stock photos, vectors, illustrations, icons, shapes, and elements. 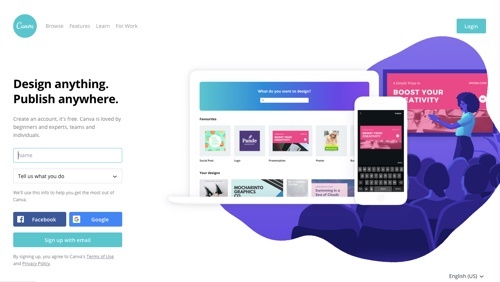 Create with thousands of project templates. Edit with preset filters, and use a one-click tool to crop and resize for social media formats. Price: Basic is free. Plans start at $12.95 per month. Tailwind. Tailwind is a scheduling, analytics, and monitoring tool. Schedule multiple pins at once with a bulk upload. Fill your editorial calendar with drag-and-drop control; schedule repins directly from Pinterest. Track repins, likes, comments, traffic, and revenue — all on scheduled posts over time. Price: Plans start at $9.99 per month. PinGroupie. Contributing to a group board is a good way to attract followers and distribute your content. PinGroupie is a filter tool that lists live boards on Pinterest. Filter by industry and follower types, or search by keyword. Price: Free. Viraltag. 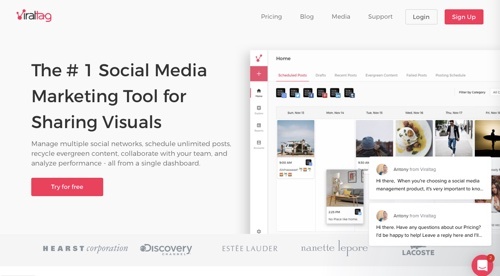 Viraltag is a social media marketing tool for visuals. Schedule posts and pins at optimal times to keep your audience engaged throughout the day. Manage multiple social networks, schedule unlimited posts, and analyze from a single dashboard. Price: Plans start at $24 per month.